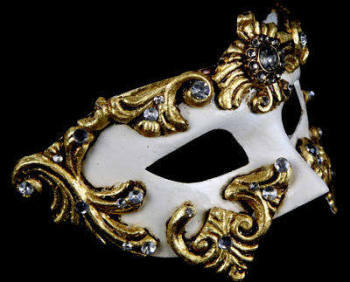 This collection of Luxury Masquerade Ball masks is the ideal choice for discerning party glamour aficionados. Direct from the craftsmen's workshops in Venice, Italy, we bring you an enviable selection of beautifully made authentic masquerade masks. 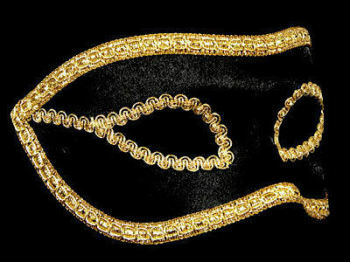 Each one has been created using techniques passed down through the centuries to today's Venetian artisans. Every mask is hand made - and unique. 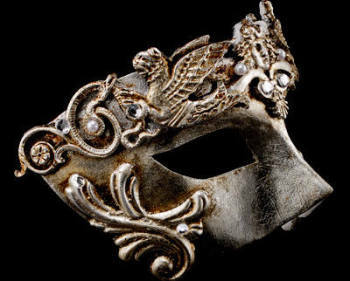 Look closely to compare a real Venetian mask with a mass produced copy and you would see subtle differences in quality and design: details a machine made mask cannot match. 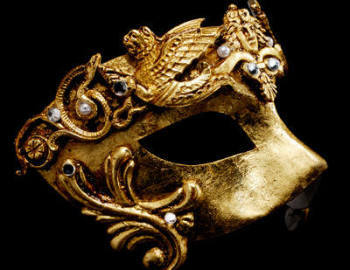 The Luxury Masquerade Ball Mask collection is for you when you when only the best will do. 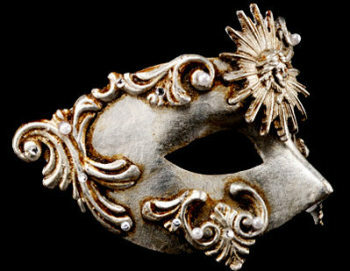 Order today and we will carefully package your masquerade mask and deliver direct to you door free of charge within the UK. We bring you the best in Venetian character masks, stunning filigree and faux diamond encrusted designs we think you'll love. Will you take on a character from the 16th century days of the Carnival? Or perhaps seek the tempting glamour of lace and crystal? 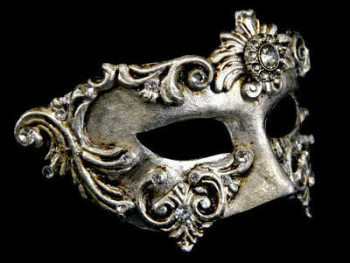 Whether made from filigree or papier mache, every mask is light to wear and comfortable against the skin. 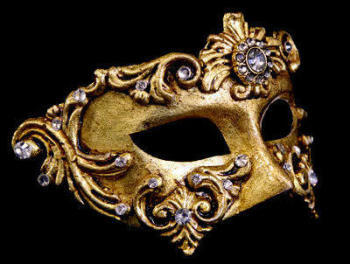 Simply Masquerade Luxury Masquerade Ball Masks are made entirely in Venice, Northern Italy. Premium hand made in the city made famous by the extravagant annual Carnival our masks come to you direct from the artisans' workshops in the heart of Venice. We have selected a range of unique and stunning masks for you to look great and feel fabulous in. Your masquerade mask will come with a Certificate of Authenticity direct from the maker.